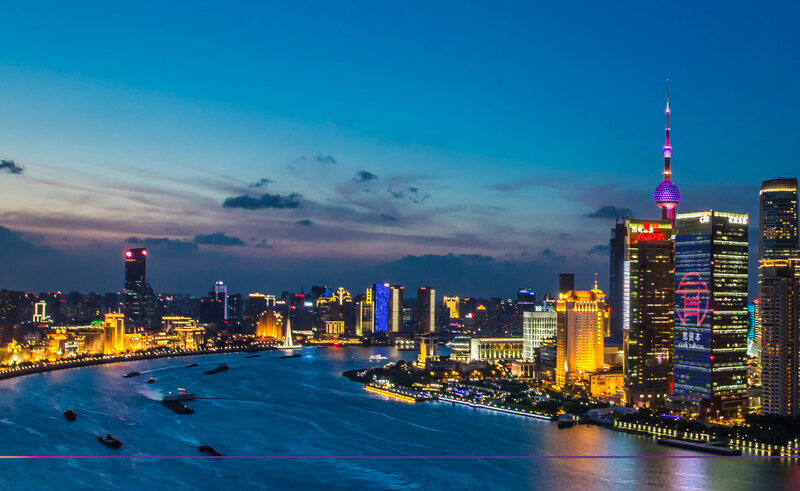 Wan Gang pushed China to leapfrog the West in electric vehicles. Elon Musk made a name for himself promoting new-energy vehicles, but when the history of the electric car is finally written, Wan may loom larger. 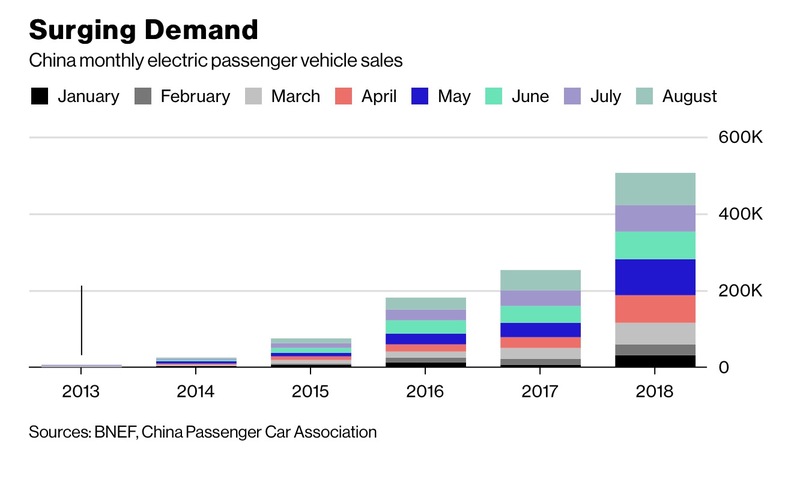 Chinese drivers buy one of every two EVs sold, and the global auto industry is pivoting to adjust. It’s a revolution fomented by Wan, a former minister of science and technology whose achievements are even more extraordinary when you consider that he never joined the Chinese Communist Party. Wan Gang tries out artificial intelligence system of NextEV ES8 car during Auto China 2018 in Beijing. After decades of hype and false starts, electric vehicles are on course to represent a significant segment of the auto industry. This year, China’s production of NEVs is expected to reach 1 million vehicles, a 26 percent increase from last year. The U.K., France and India are proposing bans on vehicles powered by internal-combustion engines, according to Bloomberg New Energy Finance. Today, there are more than 100 Chinese-made electric-car models on the market, built by giants like Warren Buffett-backed BYD Co. and startups such as NIO, which raised about $1 billion in an initial public offering this month. 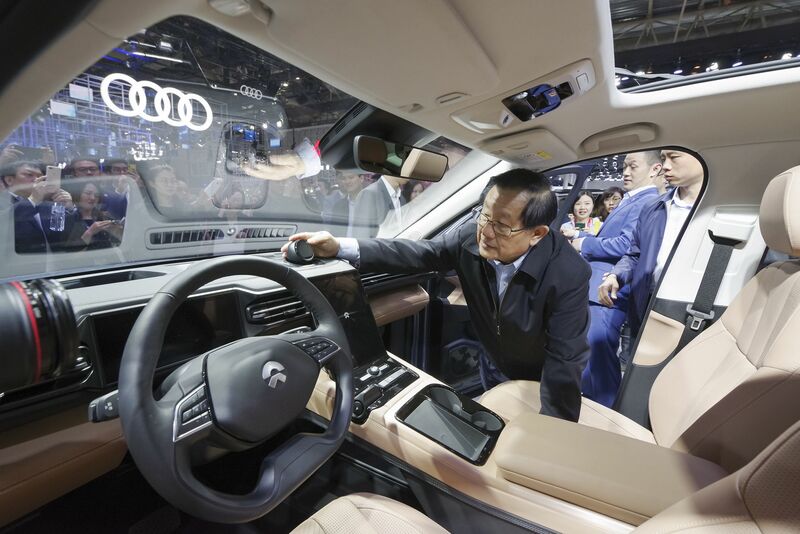 NEVs account for about 1 of every 20 passenger cars purchased in China, numbers likely to rise because of state incentives — Wan’s real legacy.